Rated 4 out of 5 by Kootchikoo from Cute but way too clicky Enjoyed this game. But it requires a LOT of clicks so is not good for those with carpal tunnel, or those who don't want to get it. You have to click to get the workers to work faster, to pick up resources, and - worse - click repeatedly to get rid of dragons and wizards. Rated 4 out of 5 by elsie46 from time management game a fun game to play. I really enjoy strategy with time mangement games. Rated 4 out of 5 by elwilgo from Cute! I'm really enjoying this one. Graphics and more relaxing atmosphere than a regular tm make it a winner for me. Rated 4 out of 5 by Tikatoy from More fun than it should be At first glance this is yet another "road building" TM in the vein of MKftP (My Kingdom for the Princess) or Roads of Rome. However, there is the addition of an action/arcade element that is literally a game changer. Each level has some primary objective(s) to accomplish; usually clearing obstacles, building bridges or other structures, or destroying a wizard portal. These can be done simply by clicking on target obstacle/building site and having enough workers and resources to complete the task. You can also construct and upgrade buildings that generate resources (wood, food, coins) or give you extra workers. All of this is the same as MKftP and other games in the genre. 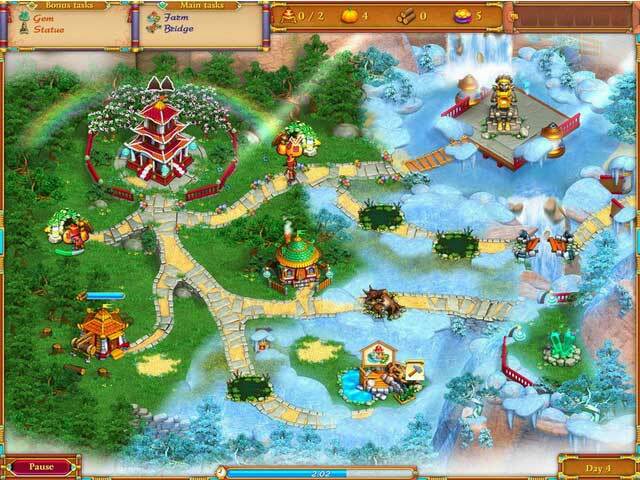 In those games the challenge is in determining what order to collect the resources and the order in which to construct and/or upgrade buildings so as to complete the objectives in as little time as possible (usually there is a time limit for an expert score). Where this game is different is in the heavy action/arcade element that rewards fast and accurate clicking and shifts the emphasis from strategy/planning to real-time reaction. Clicking on workers when they are performing a task makes them work much, much faster. Your buildings generate resources automatically, and if you don't click on the resource within a certain time, it disappears. 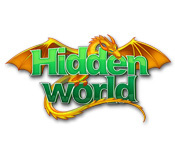 Dragons intermittently appear flying across your screen carrying parts of artifacts (when you get all of the parts from a collection, you get a game bonus like generating food more quickly) or coins and you have to click on them several times to defeat them. On later levels, they fly quite fast. On levels with wizard portals, "wizard clones" appear that shoot freezing snowballs at your buildings that will halt their resource generation. You have to click several times to defrost a frozen building, but you can also destroy a snowball by clicking on it, and stop the clone himself by clicking on him. You get the picture; there is a lot of clicking. :P But I thought this made the game a lot of fun! It can get a bit hectic when you are dealing with two clones shooting snowballs while trying to collect all of your resources before they expire AND directing your workers to do something at the same time. On the downside, if you play with this style, you will complete the primary AND bonus tasks for each level with plenty of time to spare and there isn't really any challenge. On the other hand, if you choose not to engage in the clickfest, it probably plays more like MkftP and I think you'd probably still be able to finish the levels in a longer amount of time (I think you may be allowed to continue to the next level even if time runs out, you just wouldn't get the "magic lamp" bonus). The graphics are fun, colourful (perhaps a bit TOO colourful) and cartoony in a fantastic setting. 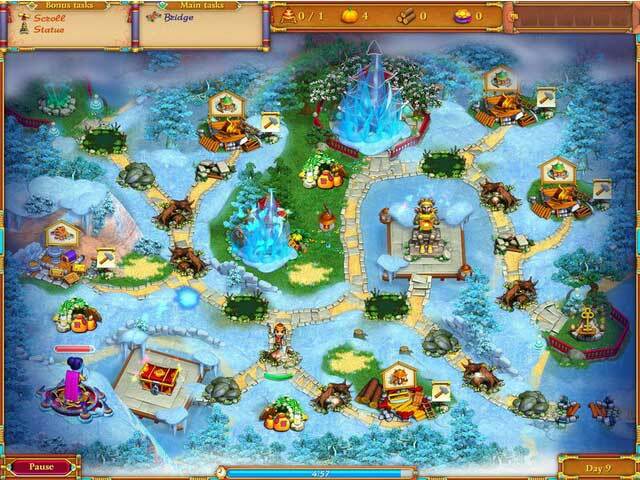 It's fun to collect the artifacts from the dragons and to get special decorations from completing bonus tasks. If you'd enjoy a MKftP-style game with action/arcade elements, definitely check this out. It's not as fun without those, but still pretty decent. Rated 4 out of 5 by sweetpea0214 from Very easy TM game (sometimes too easy) I love time management games, but I do like them to be semi-challenging. This was a fun game, fun enough to pass away some time, but it was not in the least bit challenging. For me if I have to replay a level (even several times), that is challenging. But this one, other than a few of the bonus levels (which were more strategy than challenging), I had more than enough time left at the end of each game. But I would recommend it, just don't expect too much of a challenge. 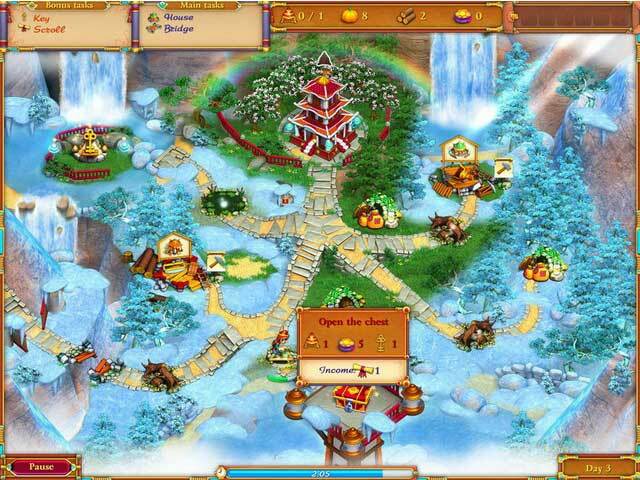 Rated 4 out of 5 by nancyt2u from Fun Game This game is kind of a cross between Aztec Tribe and Royal Envoy. It is fast paced and full of building communities. I wish there was a bit more variety in the tasks but it's okay. I don't listen to sound so I can't comment on that but the graphics are cute and highly recognizable. One of the things I like is the fact that one can play in a relaxed mode with plenty of time to accomplish your goals. I played the first time through in relaxed mode and the second time through in serious mode. Not something I will play over and over but was good for several hours of entertainment. Rated 4 out of 5 by lindiana from Enjoyable and Challenging I enjoyed this game very much despite the massive amount of clicking involved which is not my favorite thing to do. However, I took breaks between levels and found that helped to keep my hand from going numb. With 48 levels plus 4 bonus levels, the game was well worth the money as far as game time. It was challenging and got harder as the levels progressed. I think it is worth the money for those of you that enjoy this type of game. Try it while you are waiting for the latest MKFTP or similar. I think you will enjoy it, I did. Rated 4 out of 5 by tamaracox70 from Don't buy this game It's an excellent game however on day 42 there is no way to complete the challenge and thus complete the game because of a defect in the game so if you like to complete all the challenges and see the end of the game like I do don't buy it. Rated 3 out of 5 by loveoysters from impossible to finish more advanced levels I actually like this game, but at the more advanced levels it becomes frantic and frustrating. It gets practically impossible to finish even main tasks (without clicking like crazy and getting a carpal syndrome) so you get elevated blood pressure and aching wrist. I like to play for relaxation and this is far from an ideal game for that. Rated 3 out of 5 by ortonc from Too Easy For Experienced Players Similar to other games of this genre, but far too easy for experienced players, even on the final levels. No challenge at all. Rated 3 out of 5 by Pixelcrazy from Average game play. Graphics are great, game play is not so good and can get very annoying. Rated 3 out of 5 by McSpinner from OK for killing time I had started the game in the morning and by dinner I had beat every level. Overall the graphics aren't bad, game play is okay, but I found it way too easy and rather mindless. Decent game though if you just want to kill time without putting any though toward what you're doing. Rated 1 out of 5 by fatandfrumpy from NOT happy Level 24 is close to impossible and no way to skip it. Would not buy again.